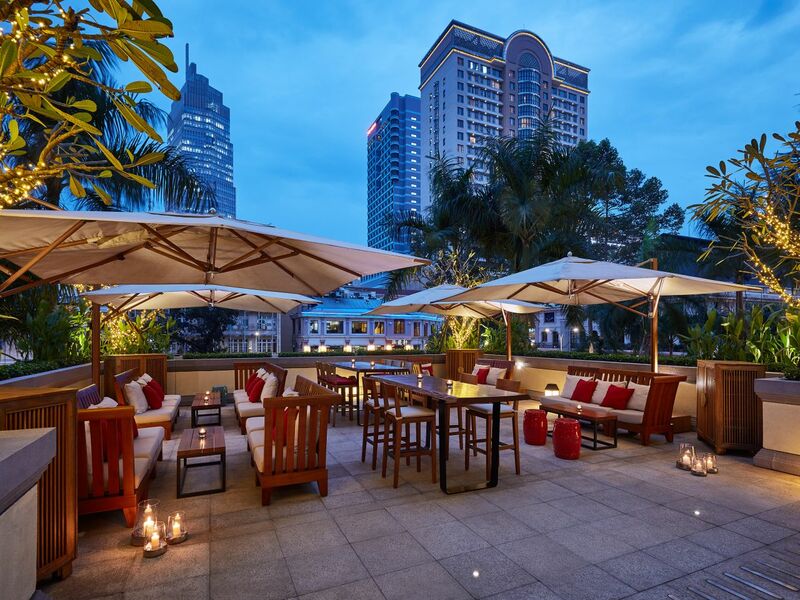 Indulge in a well-rounded dining experience at Park Hyatt Saigon. Our signature restaurant, Square One, features authentic Vietnamese and French cuisine. While Opera, offers traditional Italian dishes prepared in a large open kitchen and served in a cosy trattoria setting. For a great night out, head to 2 Lam Son, the liveliest nightspot in Ho Chi Minh City. On the weekends, rock out with our DJ until late and unwind with a refreshing signature martini or premium glass of champagne. You can also listen to live performances by resident musicians every evening at the elegant Park Lounge, which also offers a French-inspired Afternoon Tea buffet from Friday to Sunday. 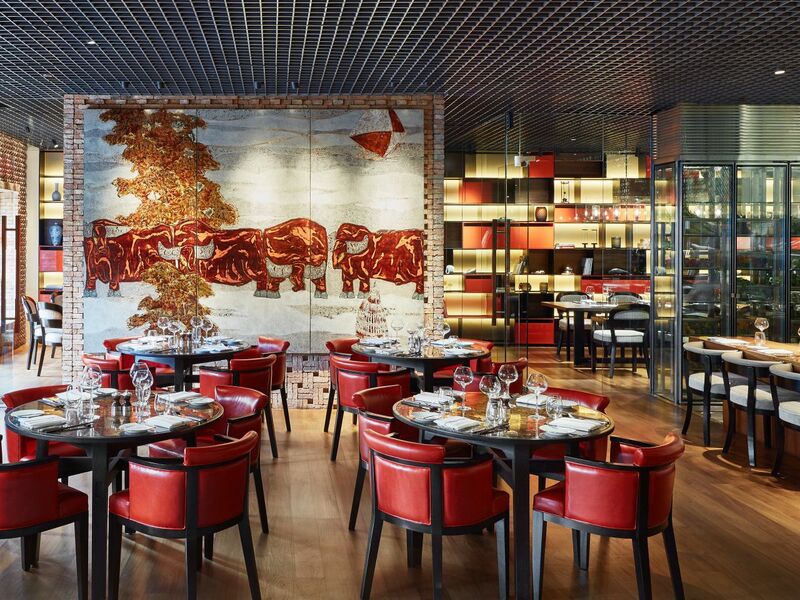 The authentic trattoria-style restaurant Opera has been transformed into the dining room of Park Hyatt Saigon, offering a venue where guests can meet and socialise. With the philosophy of sharing and coming together to create delightful moments, Opera is also a perfect venue for family dining. • Opera Bar: A destination of its own, Opera’s bar is the place to relax while having a signature coffee drink or light refreshments. 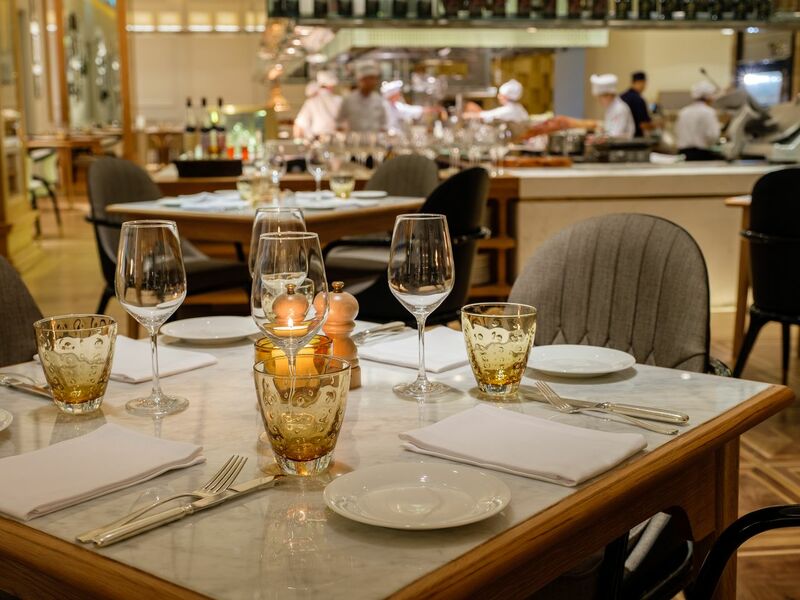 • Main Dining Room: Surrounding a huge show kitchen, Opera’s main dining room reflects a contemporary Italian design, inviting guests to experience authentic Italian dishes. • Opera Verandah: With its floor-to ceiling windows and stunning views, the restaurant’s verandah offers guests a distinctive place to escape the bustling city centre. • Private Dining Room: With a huge window offering natural daylight, Opera’s private dining room can seat up to 14 guests who are looking for a fashionable setting. Positioned on the mezzanine floor of the hotel, Square One, an atmospheric Ho Chi Minh City restaurant, combines the history, nature and thrilling culinary adventure of two great cultures from France and Vietnam to bring guests a truly unique dining experience in the heart of Saigon. 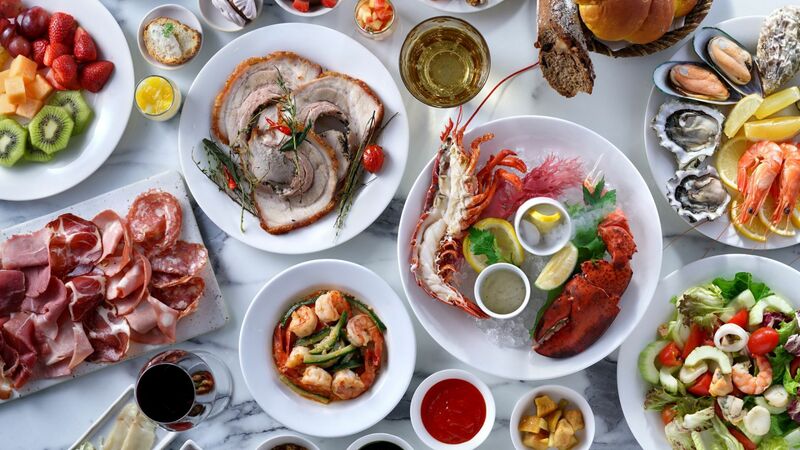 The restaurant’s lively and convivial ambience will entice guests to discover new dishes while creating lasting memories with friends and families. • Main Dining Room: A custom made light installation frames the main dining room while striking Vietnamese artwork captures the electric energy of Saigon. Be amazed, as you watch Chef Alexandre and Chef Son’s team prepare delectable dishes in one of three show kitchens. • The Cellar Door: The perfect pre-dining destination to sit and discover new wines selected personally by Hotel Sommelier Marie and stocked exclusively at Square One restaurant using Coravin wine preservation system. • Private Dining Spaces: Square One boasts three private dining spaces, each one utilizing various textiles including leather, marble and wood to create three uniquely chic spaces that are perfect. 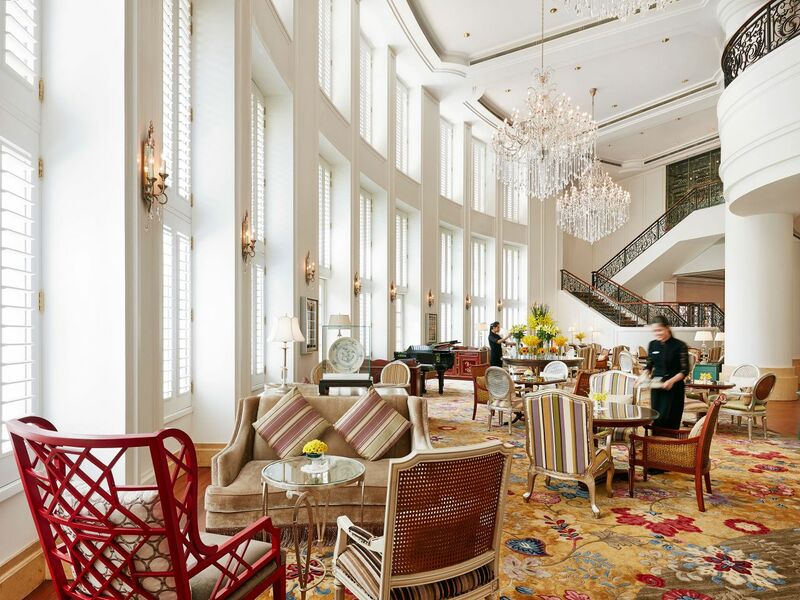 With the bright colour palette of white and ivory featuring crystal chandeliers shining and reflecting sunlight from high windows, Park Lounge will make you feel comfortable and peaceful, whether you are enjoying time on your own or having a cup of tea with friends. You should try our famous Afternoon Tea, presented on elegant tiered stands bearing a selection of traditional scones and decadent classic pastries mixed with savoury items. The patisserie selection includes delicious pastries, fruit tartlets, and mini desserts plus your choice of coffee, tea or herbal infusion. Not only ideal for social and business gatherings, the venue is also an elegant nightlife destination with sophisticated live entertainment during evening hours. 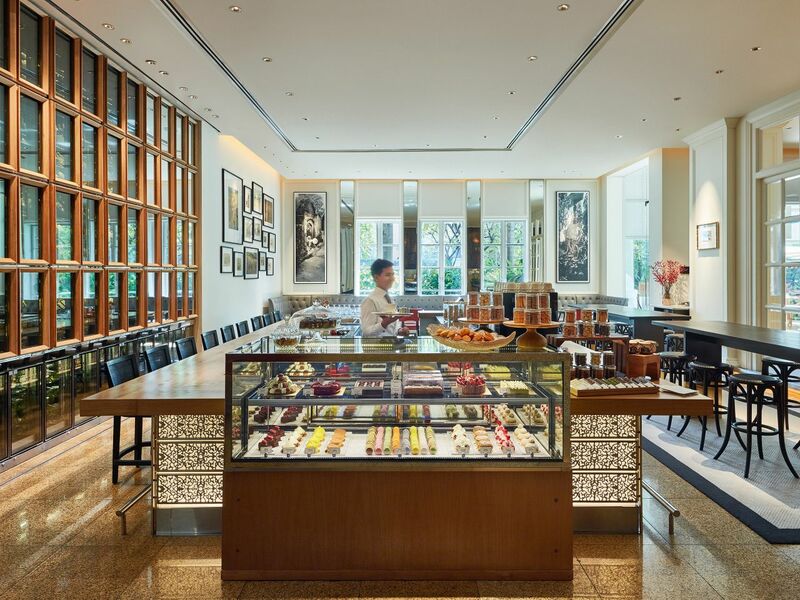 The Pastry Boutique specialises in artisanal pastries that are baked fresh with natural and local ingredients. Award-wining chef Narae has chosen to make traditional French religieuse choux the signature cake of The Pastry Boutique. In addition to authentic pastry cream flavour, Chef Narae’s religieuse choux collection offers pastry lovers a diverse selection of delicious options, including yoghurt, chocolate and raspberry-rose varieties. Drawing a mix of international jet setters and fashionable locals, 2 Lam Son serves international wines, premium spirits, local and imported beers with signature cocktails and artisanal snacks. 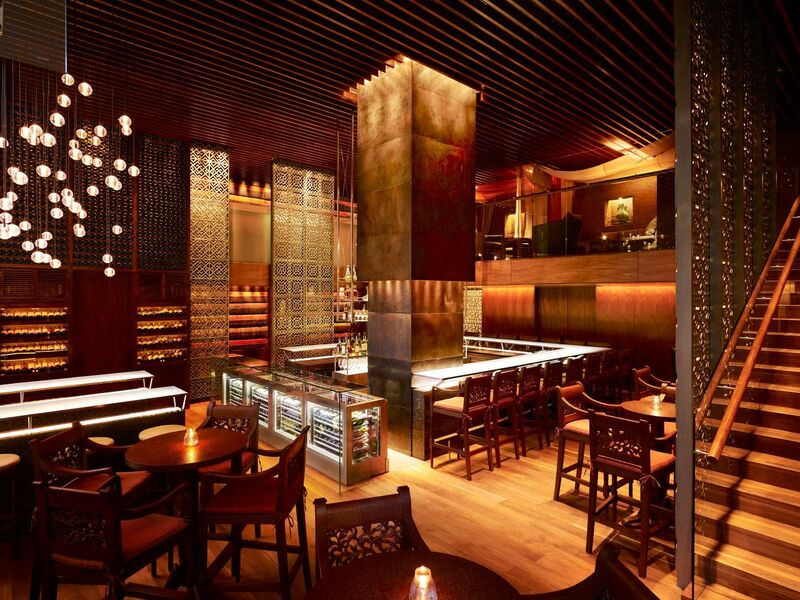 You will enjoy a smoke-free environment with an urban music selection and live DJ performances in a vibrant setting. For those who are looking for a more intimate experience, 2 Lam Son offers a cosy lounge seating area on the mezzanine floor.